The most commonly used domestic boiler in the UK these days is a combination (combi) boiler, so-called because it provides both your domestic hot water and heats your radiators. Combi boilers heat water on demand so as soon as you turn on the hot tap or switch on your central heating the boiler fires up and heats cold water drawn directly from the mains supply. The water is heated inside the boiler as it passes though the heat exchanger on its way to the tap, so there is no need for a hot water storage cylinder; this means you won’t ever run out of hot water while you’re in the shower or washing up. The rate at which hot water is delivered to the tap depends on the kilowatt output of your boiler and also on the design and build quality of the appliance. The higher the kW output, the more hot water can be used around the house at the same time. Another advantage of a combi boiler is that the water comes out of the tap or shower at the same pressure as from the mains, so if your old cylinder system has been delivering water at a rather feeble rate, a combi boiler will solve that. 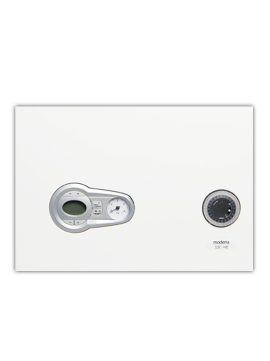 Combi boilers are ideal for small to medium sized properties because they are compact in size and don’t require a separate water storage cylinder. 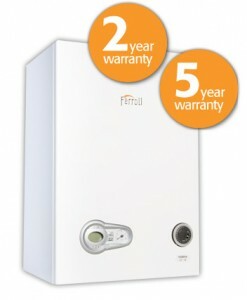 This means your new replacement boiler can be installed in a different location in the property which allows for greater freedom of use of space; for example, roof space can be freed up to allow for a loft conversion, or it can be fitted in an airing cupboard in place of the redundant hot water cylinder, freeing up space in the kitchen, or vice versa. All new gas boilers are condensing, which means that the boiler captures and re-uses some of the heat that would escape from the flue of a non-condensing boiler. This makes them the most energy efficient boilers you can buy. 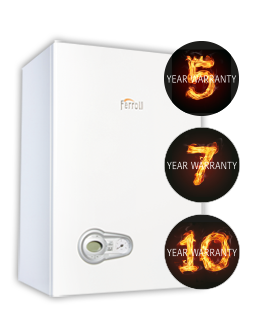 Replacing an old inefficient boiler with a new condensing boiler will show significant savings on your gas bills, which makes it the best value boiler you can buy. It will also help you to live a greener life by cutting your carbon footprint. 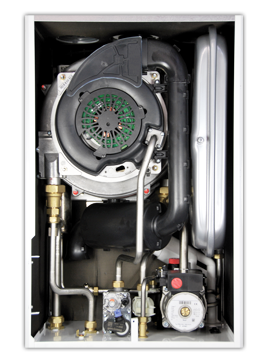 The most reliable combi boilers should have the minimum of moving parts – this is an important factor to look for as it will mean less can go wrong. The four moving parts in a combi boiler are the fan, pump, gas valve, DHW (domestic hot water) flow meter.